The sound of rain shook me awake. It was just after 1am and I was immediately hit with panic. Cadillac Hill in the wet! A feeling of dread hit me in the pit of my stomach. For two-and-a-half days I had been beating this gnawing fear into submission and now rain was falling on the polished-rocks of Cadillac Hill. All of my vehicular, and driving-skill, inadequacies popped back into my mind. Later on that evening, after an wonderful, restoring swim in Buck Island Lake, a dinner of hot-links with sliced tomatoes and onions on hoagie rolls (with sweet mustard), and a beer or so, we decided to walk down the hill, towards the Big Sluice Box. A challenge that we would not be able to by-pass. It was twilight, so we took flashlights to explore what we would be forced to drive the next day. Turning around, at this point, was out of the question. 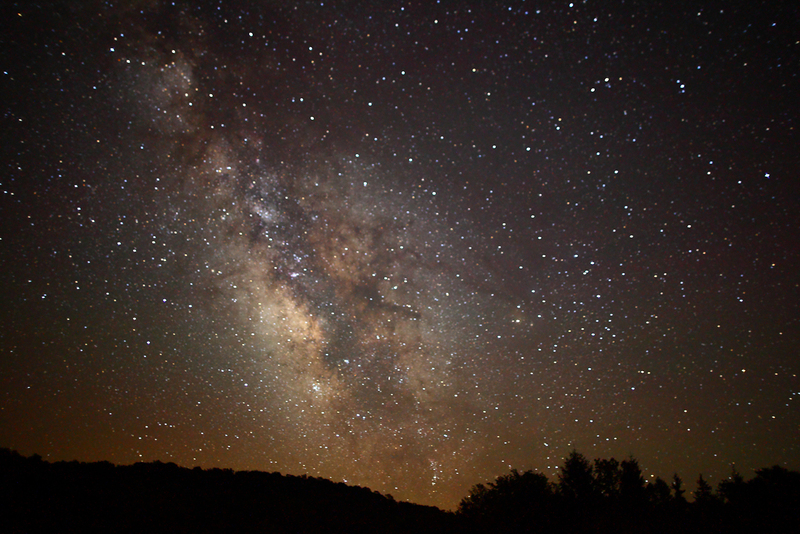 We did not have the appetite to return the way we had come—that wasn’t going to happen. That would also be admitting defeat and wasn’t going to happen either. We will always discuss the safest way to accomplish the task and not act impulsively. We will walk ANY questionable trail and discuss the best line. 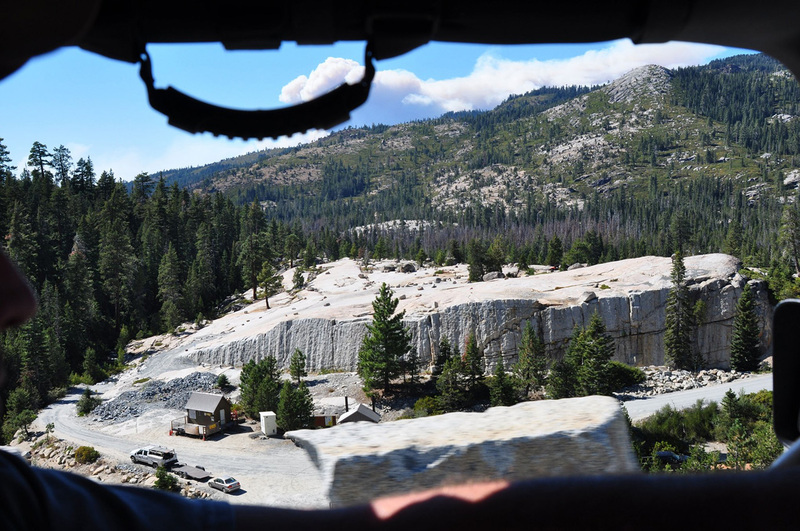 We will stack rocks, discuss other recovery options—and rehearse them prior to execution—whenever there is a question of vehicle damage. We will bypass riskier sections whenever possible. We will not succumb to pressure, personal or outside. We will not rush the trail. This is our first time on the Rubicon we can come back later and take the toughest line, but only if we are successful this time—there is no honor in stupid luck! Preserve our people—protect our rigs. Good driving makes all the difference, and good driving is the result of good planning, and executing that plan. This will be fun, we will take our time and the outcome will be awesome! In January of 2009, I bought a used FJ Trail Teams (out of nostalgia for an FJ-40 our father owned) from a really cool guy in Pittsburgh, PA. I took a Jet Blue red-eye out of Seattle (so that I could sleep on the plane and save on a hotel). After a few hours at the dealership, the paperwork was done. I headed west in the dead of winter with my new prize. That trip was an adventure in itself. 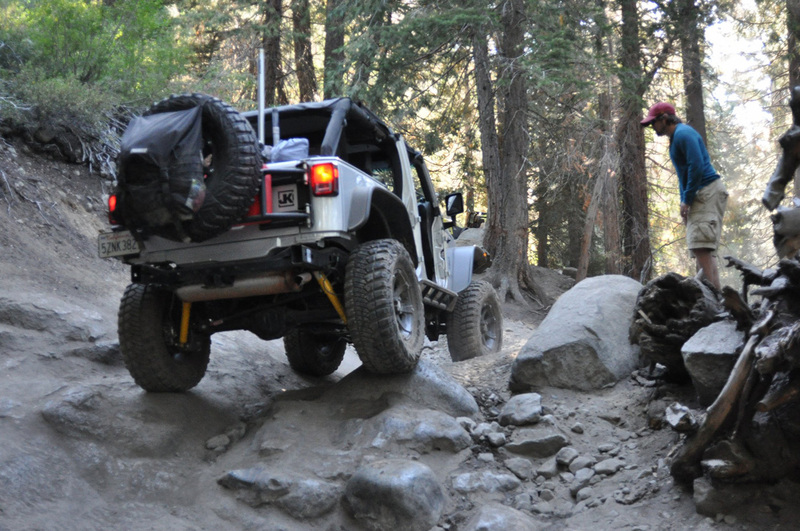 This is an multi-part post written by Jeremy Knight about his first time on the Rubicon. As the day grew closer, I continued my internet research and Erik sent me YouTube clips. I could tell that he was having second thoughts. Some of the video was daunting: people breaking things, people rolling over and doing major vehicle damage, people getting hopelessly stuck. What were we thinking? Did we really have any business doing this sort of thing? Or would we be like hikers on Everest, wearing tennis shoes and looking really foolish while begging for a piggyback ride to safety? 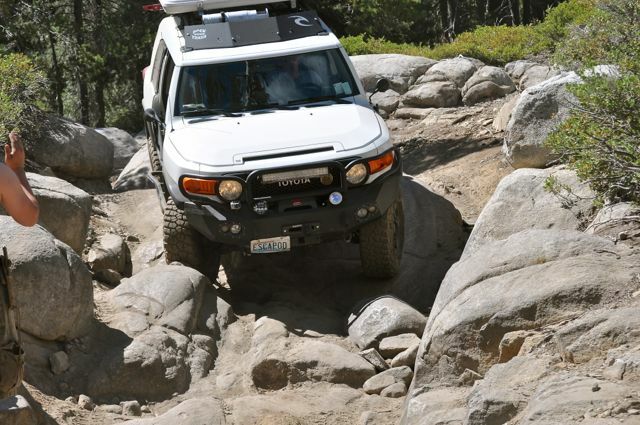 The off-road section of the Rubicon, the famous 4×4 trail in California’s Sierra Nevada, west of Lake Tahoe, is packed with 12 miles of boulders and almost non-stop obstacles. 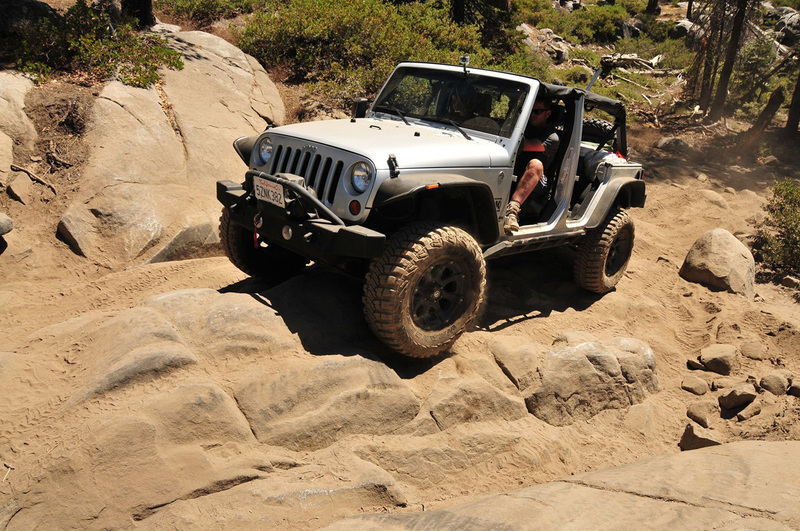 On the 1 to 10 difficultly scale that we, and others, use, the Rubicon is a 10. The trails don’t get much tougher than this. 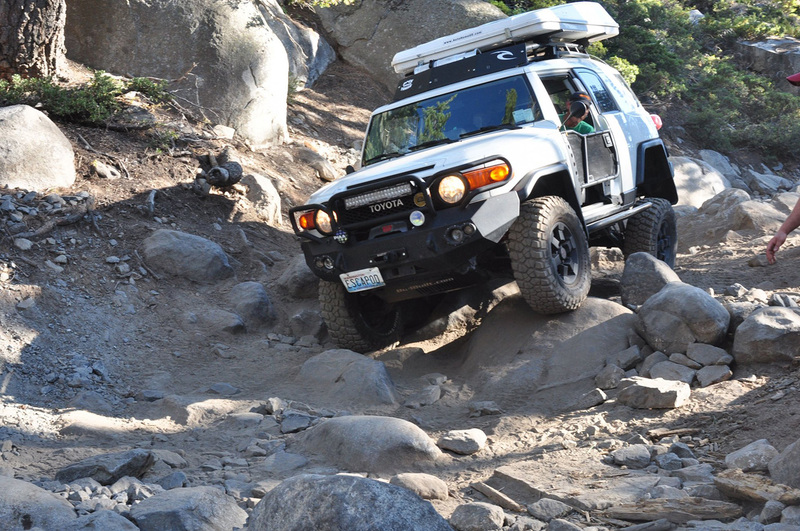 What’s it like to tackle this grandaddy of the off-road world for the first time? Well, Jeremy Knight, an overlander from Washington State, will tell you. His account, first published in the Expedition Portal forums, is offered here with his permission. We all know about the Unimog, but have you heard about Mercedes-Benz’s other tough truck offering, the Zetros? The Zetros is Mercedes’ answer to extreme-terrain hauling. Do you need to transport a mobile generator to a remote job site or haul ten tons of scientific equipment down a road scratched into the Alaskan wilderness? If so, this is your truck. The Zetros is available in either 4×4 or 6×6 configurations. Both versions are equipped with a massive 7.2-liter, inline-6 diesel that floods the drivetrain with a mind-bending 959 lb-ft of torque. The differentials lock. The tire pressure is adjustable on the fly. A single axle can carry 9 tons of load. What if you need all of that hauling ability to carry luxurious living quarters over any conceivable terrain? Well, it can do that too. More photos of one of those trucks after the jump. Thanks to our friend Mas for the tip! Here’s a video about a guy who builds a camper shell on the back of his Jeep Comanche to go off surfing in bigfoot country… and then escape. That’s part 2, which is after the jump.